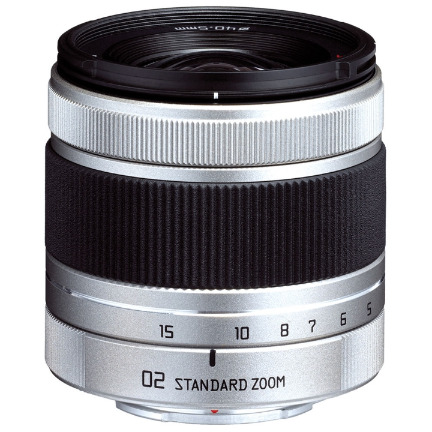 Focal length equivalent to 27.5-83 mm in the 35mm format is ideal for wide to medium telephoto applications where zooming flexibility is required. Maximum variable aperture of F2.8-4.5 offers an outstanding balance between light gathering and compact construction. Four extra-low dispersion (ED) aspherical lens elements keep chromatic aberrations to a minimum throughout its zoom range. Pentax lens coating technology for beautifully defined, high contrast images with minimal flare. Lens shutter features 5 aperture blades and syncs with the Q's built-in flash at speeds up to 1/2000 sec. Neutral density filter allows for open aperture photography in bright settings. 3X zoom range for wide angle to medium telephoto applications. Lens Shutter. ND filter (2 stops light reduction). PENTAX SP (Super Protect) coating.